I mentioned scroll bars in the title because they show up if scrolling is set to 'auto'. 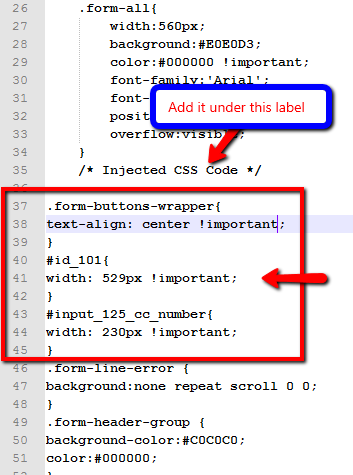 Then center your form button and other elements by adding this css code to your pat.html file, be sure to add it under existing css codes. Hope this helps. Please let us know if you need any further assistance. Thanks!